For weeks now we haven’t had any rain. The sun has been shining bright. Some days it’s been very warm and others it’s been bloomin’ hot. Whilst we have melted some days, the livestock has done really well. They have found shelter under trees, hedges, coops and in dry ditches. We have had to increase their water supply by driving 200 litres to them twice a day. Our farm does not have an automated water supply system for any of the animals. But it’s been ok and we’ve managed with our ‘trusty steed’, the landrover. 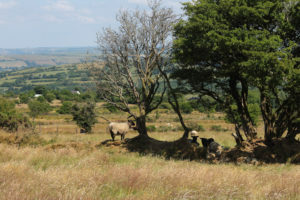 The climate IS changing and farming needs to really adapt in a way that allows ALL animals and the land to be supported. One cannot exist without the other. Animals dying due to the weather, lack of grass to graze animals and cracked or flooded fields should not be the experience of any farm. So why hasn’t this weather affected us? 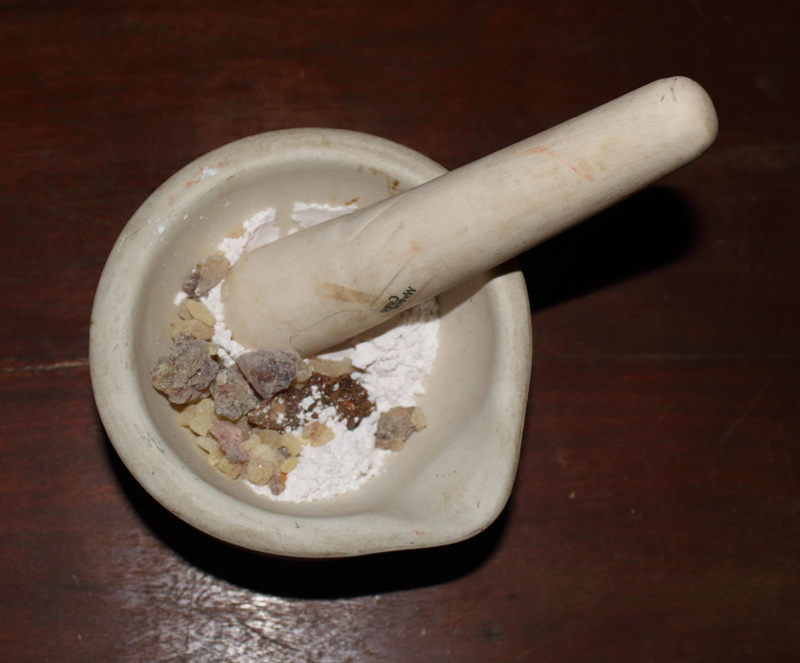 I come back to this statement time and time again…….WE DO NOT use CHEMICALS . I heavily capitalise on the fact that our animals have a wealth of immunological experience. They have built up their immune systems over time and this strength is passed on. The lambs are strong and healthy and do not require immunisation. 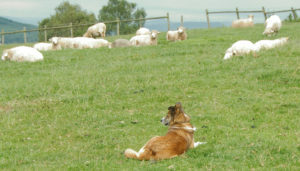 All our animals are supported using homeopathic remedies, low stress management and good varied pasture grazing. This all helps to support high levels of health and vitality. 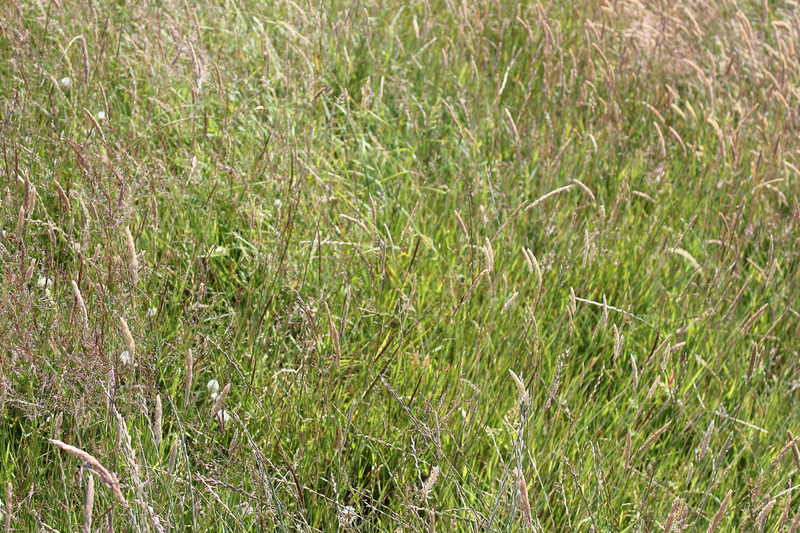 Low stocking density, rotational grazing, hedges and grazing on mixed length pastures ensure the soil on the farm is also supported. 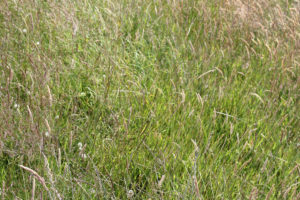 The longer grasses have protected from the sun, the much slower growing plants. This has ensured there is enough grass for the sheep to eat. Apart from mineral lick buckets provided for the sheep in day-light hours, grass is the only food they have. 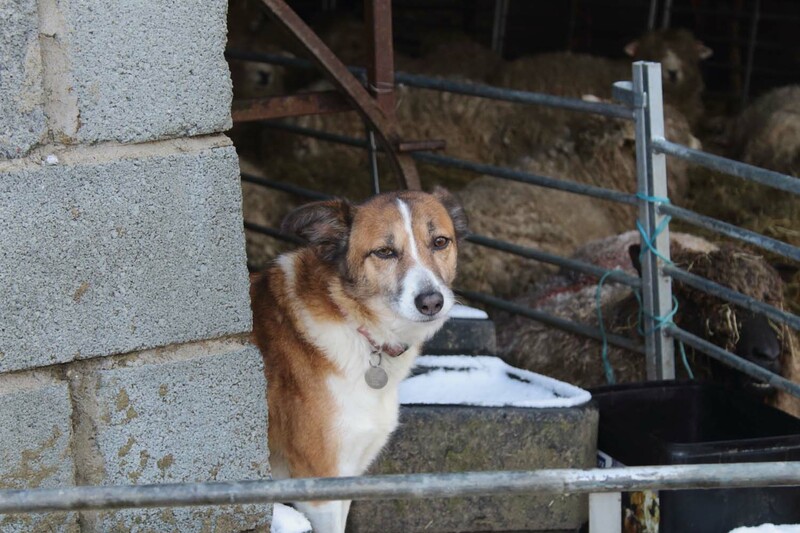 Under this holistic system the lambs are not fed concentrates and grow perfectly well and the ewes and rams remain in good condition ready for next tupping. Organic farming systems are the way forward. I personally don’t understand how farms survive when each and every day a battle seams to ensue against disease, parasites and nature herself. Perhaps, traditional farming is so entrenched in man/money-centric activities that people can’t stand back and REALLY look at what is going on. At the heart of farming and literally its foundation is the earth. Shouldn’t farming and farmers be switching their practices so that earth-centric activities are the MOST important focus on the farm? 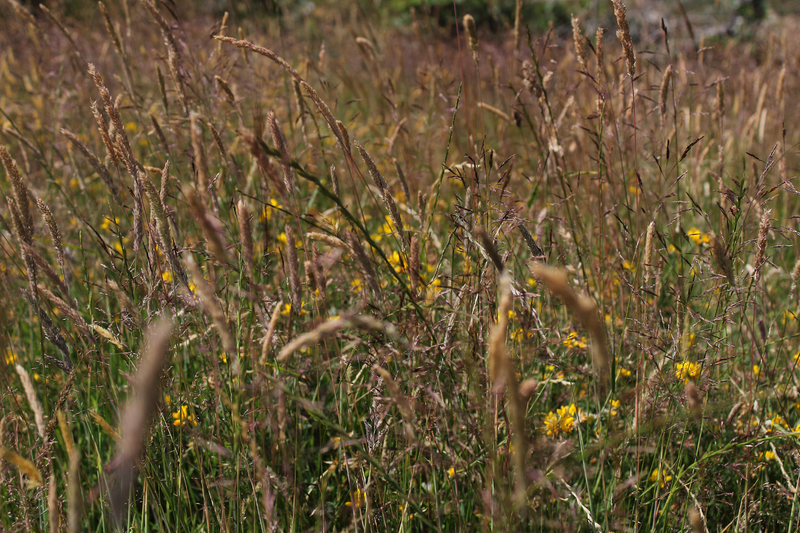 If we asked the earth what SHE wanted she wouldn’t say ‘ I need a heap of chemicals dumped on me on a regular basis’ or’ I want every blade of grass grazed to an inch of its life so it struggles to regain strength and life’. Changing and extreme weather patterns is a ‘wake-up’ call for farmers to really think about their actions and impact on the small piece of this planet we are custodian off. 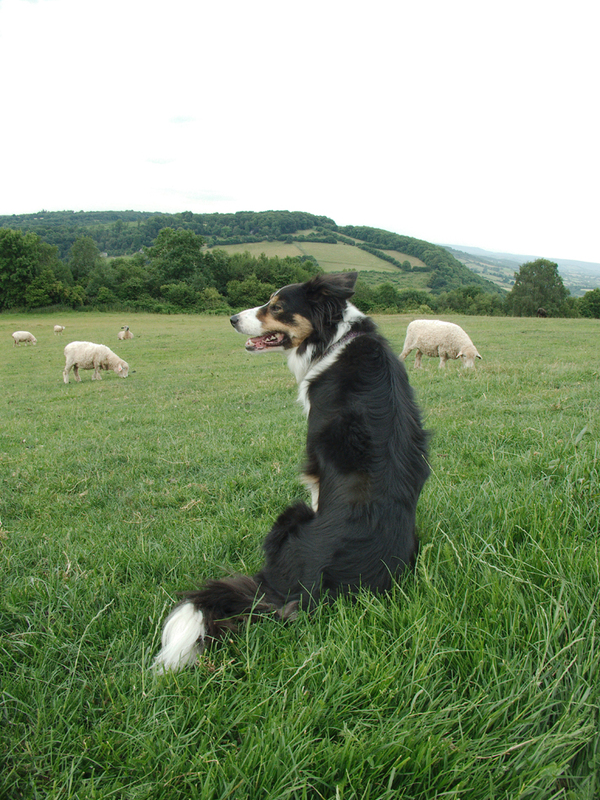 If we support the land we farm, that land WILL support our enterprise whether its livestock, arable or a mixture of both. I must have seamed like a complete mad woman and probably wrote some drivel in my last post. Something happened VERY suddenly at the time. I’m guessing there was an astrological element playing its part within the energy. So here is an explanation……………. Before we moved here it had been decided and planned, in a rough sort of way, where the chickens were going to live. This meant providing them with a secure run and coop. Free-ranging is the ideal but with so many foxes around this is something that needs careful consideration. Anyway, a new coop and run was purchased and has been sitting in the garage for a few weeks. Im my head I had been planning where they were going to be placed, how the chicken area was going to develop and then WHAM…..something stopped me dead in my tracks and said ‘NO’. This is when I wrote the last post. Since then the energy has lightened off a bit but reconsideration was a must. A new site on the farm has now been found for the run and coop. Avoiding natural watercourses is a tricky one because so many run through the farm. Today, I did some dowsing to understand where they were. I have mapped the field of the water channels and feel that if we can free-range the chickens this will avoid contamination of the water because it is quite deep underground. It might mean that we have to have spring/summer/autumn accommodation for the hens and during the winter they are housed elsewhere. This is a process of development but I think we are on the right track and certainly I couldn’t feel any energetic objections to the new site. So at the beginning of June we put up a brand new run and coop. It only took two whole days to complete and the chickens are enjoying the space. It wasn’t until the hay was about to be cut when I realised why the original chicken area wasn’t such a good idea….its was ‘slap-bang’ in the middle of a track that the tractor would need to take to safely get hay bales off the fields……………..Thank god I listened ! As the full moon positions itself in Scorpio, a door all of a sudden slams in my face and | feel a small part of myself die. But, within my soul something new is about to be born. Its like a flickering flame. Its always been there and at a few points in my life I’ve worked with this flame and have enjoyed its energy and the insights its provided. And so, there is a re-birth about to happen and I know exactly what needs to be done. But lambing has just started and all my energy is in that. Maybe that’s no co-incidence though. Let the journey begin………………….. When we moved I worried about how the sheep would cope with the change in both climate and pasture. I shouldn’t have been so concerned though. 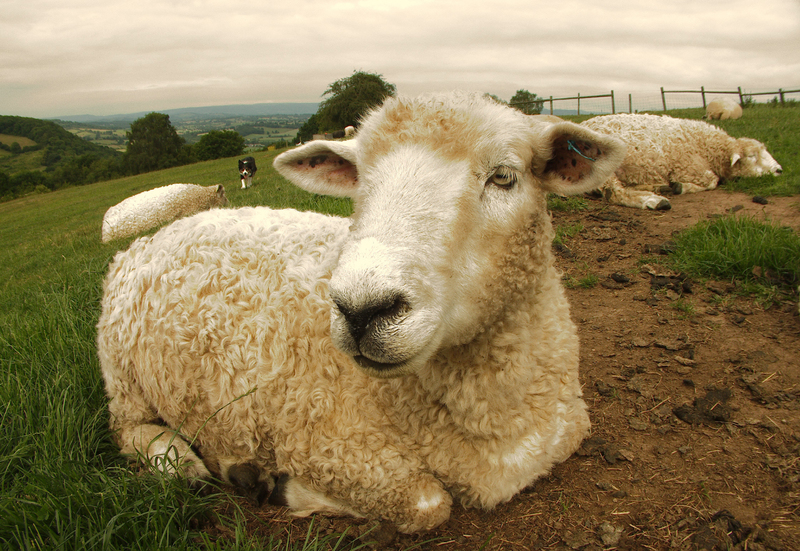 The stars of the Broadstone flock have definitely been the Devon and Cornwall Longwools. They have met each challenge with ease. 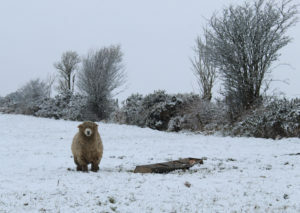 The abnormally wet and cold winter this year hasn’t affected them in the least. They remain strong and ready to lamb in 5 weeks time. Of course, they are meant to be h ardy. But they’ve endured wind blasting through their fleece at 80MPH at times on a mountain 1000ft above sea-level, hail the size of golf balls battering on their heads and water flowing through their toes like a river. Yet, they’re still fighting fit. Ok at times they’ve been bought in for a rest from the weather but these girls are exceptional. For me their success on this farm has been good breeding. Animals need to be strong and able to adapt easily to their environment. This has been achieved by choosing the best of the best to breed from. If you breed from stock that persistently have health problems you get rubbish off-spring. The passing on of good strong disease resistant genes is a ‘no-brainer’. These sheep cost me little in time, energy and money. But it has taken years to get to this point. I farm without vaccine, antibiotics, and routine worming or pour-on solutions to control external parasites. In this day-and-age when too many drugs are present in the food chain this is a good thing for our meat and fleece customers. It’s also a good thing for our healthy sheep. By encouraging natural immunity they remain robust beings living a natural life. We’ve been living on our farm for 14 weeks now. LOVING IT …..
Its been a busy time with only a few moments to be still and enjoy the energy the farm has to offer. But moving into a new place in winter isn’t the best of moments and all activity has been directed towards ensuring the animals are settled and well. One the whole everyone has done remarkably well. The chickens are unable to free-range for the moment. They aren’t happy with this arrangement and no amount of enrichment is making up for that. However, they are safe from Mr and Mrs Fox. A run was erected in the snow to give them space to stretch their wings and do chicken stuff. In the spring this will be moved and extended to a more permanent place. The sheep travelled and settled really well. The Devon and Cornwalls have settled well and are so suited to the climate here. As expected the wensleydales and Blue faced Leicester’s need a bit extra care and are mostly living inside as there is a lot of wind and rain fall. The Devon and Cornwalls et al are only bought inside when storms are due. Not that they wouldn’t cope, but it gives them a rest from having to tolerating bad weather. We had such a lot of plans that we thought were going to be executed once we got here. That enthusiastic energy that flowed through us has dampened down a bit. Short day’s mean that there is limited time to undertake too much. I also think that it’s given us time to re-think plans ; align with the farms energy and re-think more. For me the farm is like a painted canvas that someone else has done. It’s not a blank canvas because there is too much history here. Others have created a picture on the canvas that reflects them. Now, some of the paint wants to come off and some of the paint has already fallen off. I feel that the farm is giving me the space to start making the painting different. This time the painting isn’t human driven but a co-created picture. Exciting times ahead I think. I have encountered the ‘spirit’ of the farm a few times since we moved here. I have asked for guidance, opinions and asked if ‘she’ needed me to do anything particular. Nothing has been requested and I have felt each time that I’m been given free-range (for now!). 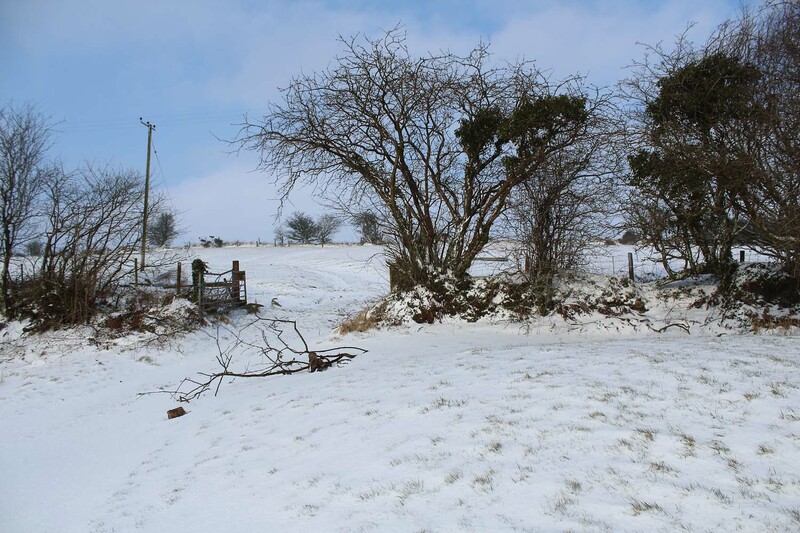 It seemed appropriate that on the winter solstice the essence Preseli Bluestone that I made about 10 years ago was sprayed onto the large stones and onto the land at the top of the farm. The air was damp and slightly windy. It was dark and it felt bleak and raw. I offered that essence to the stones and land as a healing gift. I wanted to mark the occasion. It was important to me to stand with the stones and declare to the land and the stones that I’m now custodian and of my intentions. Then shortly afterwards on the 6th January 2018 the first biodynamic preparation was gifted to the land and the elementals. I have planted some trees around the farm, mainly a mix of willows, Alder and silver birches. Given their ability to withstand damp conditions im hoping that these will thrive. The soil is full of small stones which made tree planting harder than expected. There is another 30 –ish trees to plant before the spring energy rises. This year (hoping this is a one-off) there have been some very high winds and lots of snow and rain. Pastures are soaking wet and at times the drainage has had a hard time coping with the volume of water flowing through the farm. A lot of infrastructure needs to change and animal management for next winter is being planned now. The sheep were recently scanned and I’m delighted with the results. All but 5 are pregnant. A good volume of twins are expected. To be honest I was expecting only 50-70% of the ewes to be in-lamb. I thought that tupping late and moving them would cause a problem. But no, all is well. And maybe this is a reflection of not just their holistic management but on the fertility of idea, universal support and welcoming energies that we have experienced since we moved here. To top it all, On 31st January 18 we had a super blue moon and I gained a new guide. She appeared with great clarity and has been within my energy field since. Her arrival has made me feel quite nauseous at times, spacey and wobbly. I’m certainly hopeful that this will pass. But she marks a huge change within me. I’m looking forward to working with this lady whatever her role might be. I’ve been using Forever Living products for a long time on myself and always had advised others to try them when health issues arose. 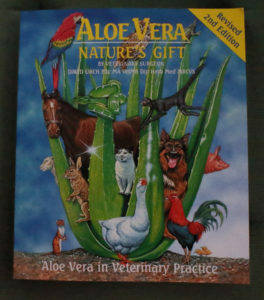 It had not occurred to me that animals would also benefit from the healing quality of Aloe Vera. Recently a hen benefited from aloe gel when she got an egg stuck. 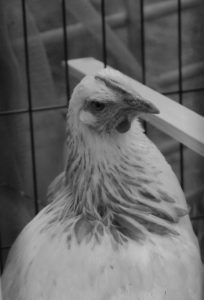 Within 24 hours she was well and displaying normal chicken behaviours. This had led me to being open to using more of these products on both the domestic and farm animals. So over the next few months I will be exploring Forever Living goods when indicated. Love sitting on the grass with these girls. Enjoying their company and the scenery. Life has to flow. We pick up dreams and run with them. Thoughts, emotions and behaviours that no longer serve are abandoned. The whole being should be free to experience, free to express and free to learn. This blog is a long time coming. Actually its being written a few months before I thought it would be. But there are times when people unexpectedly enter into your life. They come with a clear message that affects the way you think. They express truths that launch you forward and empower every level of your being. You are changed forever. This blog is a result of those people who came into my life with slightly different messages for me. One person reminded me that what I have is a gift and that by hiding it serves no one. So, I welcome you to share this journey with me. My belief systems are and have always been fluid as I learn and experience the world for myself. My teachers are the animals I care for, the land I walk upon and the stars I sit beneath. This blog serves as a record for me as I enter the final half of my life. I wanted to track the journey because for me it’s what my soul came to do. For the past 48 years I have been working to this moment. My soul is trying to manifest the dream. Sit tight this is going to a bumpy ride. There are going to be many differing dimensions to my writings. I am merely sharing my thoughts and understandings to form a record of a personal life goal. My journey is uniquely mine. Some of these writings may be alien to you; you may see things differently. This is my truth as I see it on THAT day. You have to find your own truth. Please dismiss anything you do not agree and explore those things you feel might help in your own personal journey. You may have experienced these things also. But what is important is that I do not know everything. I write as I understand things today. Tomorrow my understanding and experience may be different. This does not mean it’s wrong. It just Is. In 2010, I side stepped into the role of farmer from the role of geomancer, shaman and healer. The former was a dream. I threw heart and soul into my new role, loving my work with animals and on the land. My old life not completely abandoned. I took with me intuition, homeopathy and essences. The rest I packed into my spiritual tool box for sometime into the future. Seven years later that tool box has been taken out of the cupboard. I’ve blown the dust off and fully allowed the divine once more to fill my life. Hopefully, In a matter of months We will be moving to Pembrokeshire to start the next phase of our lives. This move is onto our own farm where I will continue my journey as a shamanic farmer, co –creating with mother earth and the animals under my stewardship. It has been difficult to-date to work in the way I really want. This is because the land i’m currently working on is rented. For me one of the problems with renting land is maintaining boundaries and ethics. I like to keep a reasonably clean karmic slate and therefore believe that I have no moral right to energetically adjust anything that I do not directly own or have no permission to. This permission has to come from both the land owner and the spirit of the land. 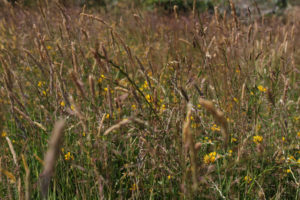 The former has never been sought so I just graze the land and care for it in a basic way. Blue Faced Leicester and a few cross breeds. 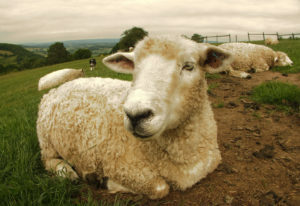 I am very conscious that there are too many sheep on the land but each one is important. I very rarely sell on breeding ewes unless they are going to an exceptional home. The spirit of the flock is strong with the matriarch ewe having lots of contact with me. I use her to ‘tell’ the flock what is happening on the farm, keep her updated on changes and as a point of call if I need to know anything that’s maybe affecting them. At home there is a small flock of free-range hens. Currently I have 16 feathery ladies that persistently try to get into the house and under my feet. Domestically, there are two dogs Mollie and Abby and an African grey parrot Darwin. Patrick (husband) works away. He is my rock, my IT guy and someone who supports my work and enriches my life with his own special energy. He has little contact with the farm animals but is there to lend a muscle or two if needed. Non of this would have been possible without him. 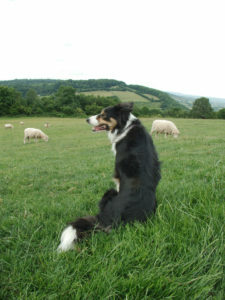 In view of this move, last year I sought some guidance from my own ‘team’ of spiritual helpers with regards to lambing. It was suggested that I should not lamb this year (2017). This break has given me time to do courses, adjust things in our lives and rest before the hard work of full time farming occurs.